OSCE SMM Principal Deputy Chief Monitor Alexander Hug stated that the areas to the north and northwest of the Kiev-controlled city of Mariupol have become again conflict "hot spots," where banned weaponry, including multiple-launch rocket systems (MLRS), is being used. Ukrainian military leadership ordered its troops to carry out an artillery strike on Kiev-controlled Mariupol so that they could later accuse the DPR military of civilian casualties and the derailment of of the Minsk agreements, accoridng to a source in the Defense Ministry of the self-proclaimed Donetsk People's Republic (DPR). 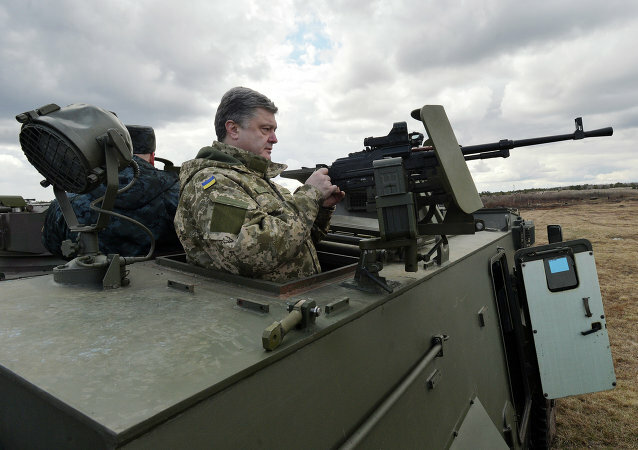 Speaking before Ukrainian troops and the residents of the city of Mariupol in the Kiev-controlled part of Donbass, President Petro Poroshenko said that "Ukrainian occupation is temporary," sending social media abuzz. According to the self-proclaimed eastern Ukrainian Donetsk People’s Republic (DPR) official, Ukranian federal government is plotting terrorist attacks on the city of Mariupol, despite the Ukranian crisis resolution process. Alleged US mercenaries were seen in a night club in the city of Mariupol under Kiev's control, a Donetsk People's Republic military official said. Around 300 of Turkish- and Arabic-speaking mercenaries arrived in the city of Mariupol under Ukraine's control, the Donetsk People's Republic military reported citing locals. The mercenaries are planning subversions in Russia and the Donetsk People's Republic, according to the DPR intelligence. The voting did not take place in Mariupol on Sunday because ballots were not delivered to parts of the city. 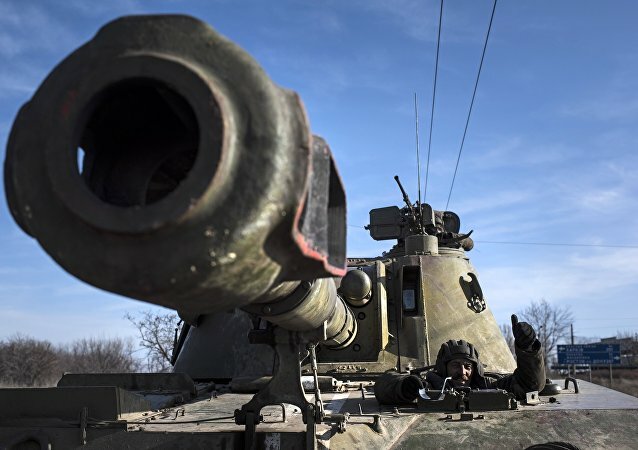 The active movement of the Ukrainian armed forces’ heavy weaponry would allow Kiev to falsely accuse Donbass militias of carrying out artillery attacks, according to the self-proclaimed Donetsk People’s Republic defense spokesman. 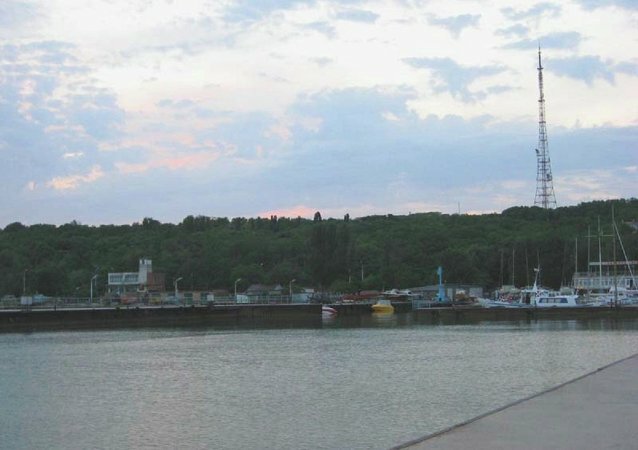 A border patrol vessel belonging to the Ukrainian Security Service has blown up in the Sea of Azov off the coast of Mariupol; the country's Border Security Service has reported two injuries and heavy damage to the vessel. Over one hundred thousand of Ukrainians of Greek origin living in southern Ukraine, Greece's Deputy Defense Minister Kostas Isihos told Sputnik. A well-known Ukrainian hacking group opposed to the Kiev government has revealed that Ukrainian authorities are carrying out a police sweep across Mariupol against regime opponents, and that authorities plan a "pilot project of military-civilian administration" in the city. In case Ukraine loses control over Mariupol, the country will remain without foreign currency receipts, the Prime Minister Arseniy Yatsenyuk said. Denis Pushilin, Donetsk People’s Republic (DPR) negotiator, said that DPR considers Mariupol as its own territory, but status of the city should be solved by political means. Mortar and rifle fire has reportedly been exchanged by both sides in the area of Mariupol. Donetsk People's Republic's forces do not respond to Kiev "provocations" and have not carried out any offinsives on the eastern Ukrainian city of Mariupol, the deputy commander of the DPR forces said. 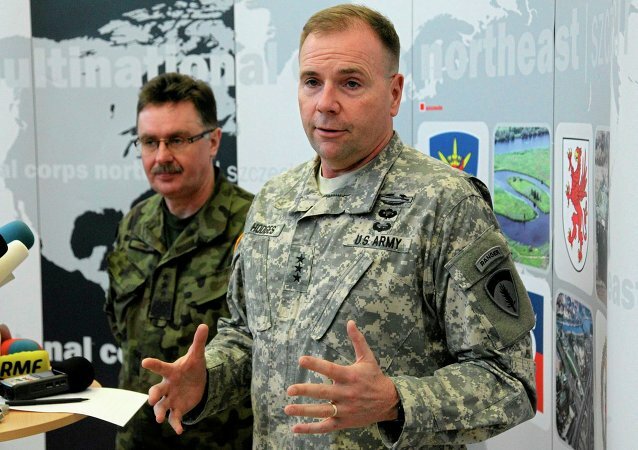 US military commander in Europe, Lt. Gen. Frederick "Ben" Hodges, told a Scottish newspaper he was a "knucklehead" when he confused the location of the Ukrainian port city of Mariupol last week. 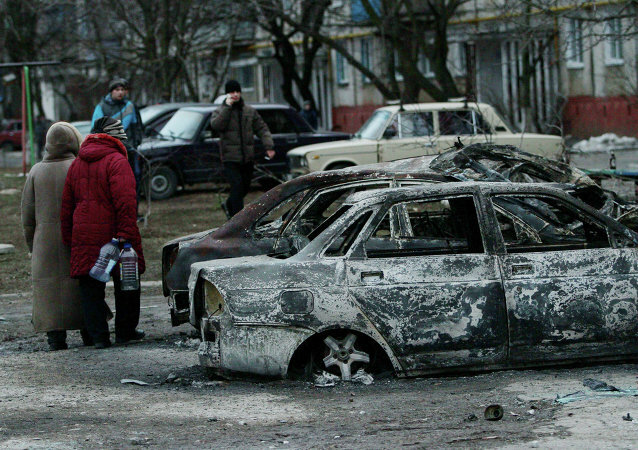 Local media reported of shelling outside the Ukrainian city of Mariupol as reconciliation talks on the Ukrainian crisis are underway in Minsk. Minsk Summit on Ukraine: Last Exit Before War? 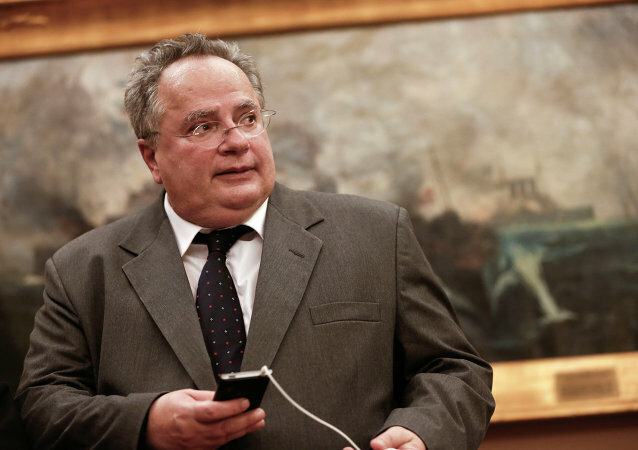 Greek Foreign Minister Nikos Kotzias said during a briefing in Moscow that Greece was ready to act as a mediator in improving Russia-EU relations. 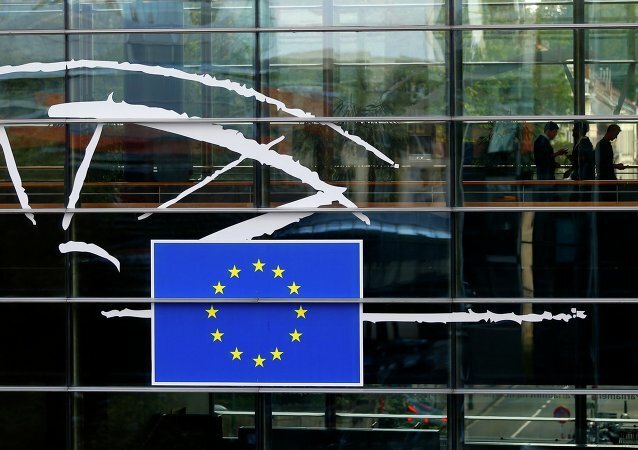 According to a Latvian parliamentarian, a new resolution calling for tighter anti-Russia sanctions over the Ukrainian crisis is likely to be put to a vote at the European Parliament's plenary session on February 12.